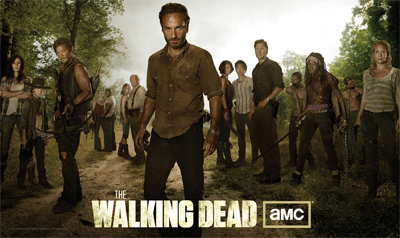 On Sunday evening, October 12, 2014, the Twitterverse will explode with the hashtag #TheWalkingDead, the official hashtag for AMC’s popular television program about zombies. It would appear, given the proliferation of TV hashtags: #SOA (Sons of Anarchy) #GOT (Game of Thrones) #DowntonPBS (DowntonAbbey) and annual favorites such as #Superbowl #Oscars #GoldenGlobes, etc. that people watch TV not only with their families & friends, but with their smart phones. If a show’s a hit you can bet it has a hashtag! My dilemma: Do I dare tweet along? Does tweeting about my silly guilty zombie pleasure hurt or help my brand? It is not a silly question to ask! How do we blend our personal and professional posts? And should we? Disclaimers aside, “Tweets are my own” does not exonerate one from making eyebrow-raising comments or exclamations that might tarnish peer-to-peer regard. At a recent convention of Cooperative Extension professionals, which focused on social media, many of us wrestled with the specific question of balancing personal content in professional social media profiles. Like other conferences, we had our own event hashtag #NeXConf. We got a kick out of seeing the aggregated Twitter and Instagrams posts unveil on a large screen when we convened in the main room – many of which were light-hearted selfies with fake mustache & hat props a la Photobooth. This bothered one family and consumer science agent, who, in a breakout session about Twitter, explained she didn’t want to tweet about the conference she was enjoying. She had developed an identity as a nutrition expert and earned a modest following on Twitter. Her followers, she explained, had come to trust her expertise. She was a serious professional. She didn’t want to tweet or RT the #NeXConf frivolity. She wanted to remain on-topic on social media. This flew in the face of some expert advice, such as it was delivered, that advocated we should have fun with our social media presence. Our personalities need to surface on social media. We need to relax a little. We ought not to take ourselves so seriously. Extension’s presence on social media does not have to be so clinical! Audiences want to connect with real people. But her comment hit a nerve. Extension’s brand is trust. Some might say it is a sacred trust. We provide unbiased, university-based outreach to the public. Most in the room had professional Twitter profiles, that is to say, profiles that included a real picture, a factual biography and a link to a business or website. Do we step out of that arena occasionally? The overwhelming answer was yes, but in a balanced way. So what to do with the impulse to post about The Walking Dead? Is it wise to comment on political topics? Do I resume my red carpet fashion critique during the Academy Awards and Golden Globes where my sister and I can virtually rival all those red carpet shows with our snarky wit? In all seriousness, where does a professional draw the line? How does one build a brand that audiences will respect, but also reveal a little of our extracurricular life and personalities? Does the person who exists on LinkedIn have to be a clone on Twitter or Instagram? During that week, passionate opinions often differed and no clear answer emerged. And, as most often in the case for me, the ideal answer rests somewhere in the middle. Moderation. Balance. Common Sense. During the NeXConf, I created a new Twitter profile and abandoned my original one. My picture, job description, and a link to my new about.me page are included. In starting over, I started from scratch – my following builds slow and steady. Politics stays out. Local news, academic and work-related posts remain. Now and then, I’ll connect my Instagram photos of my grandson or my garden. But beware, on occasion, a trending walker may stagger upon my Twitter stage.